We worked closely with the dynamic duo Sue and Chrissi creating branding and a strong identity for the launch of The Style Show. The Style Show is a personal styling and advice service that runs regular shows, events and one-to-one styling for women of all ages. They required a fresh and elegant brand look, that appealed to the target audience and represented the fun and fabulousness of their services. We carried out extensive research into the market and competitors to create a unique approach. Once complete the branding (see below) has been used to full effect and The Style Show team have been running events all over Norfolk. 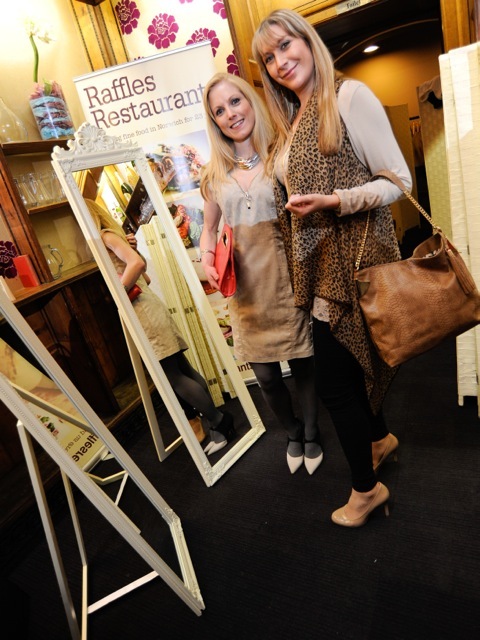 In March The Style Show held an event at The Library Restaurant, Norwich, which Farrow’s fashion darlings Heather and I attended to see the new branding. At the event, not only did we learn some amazing fashion and styling tips, we also had a quick body shape and colour analysis done by The Style Show team, so that we could shop to our hearts content knowing the right styles and colours to pick! Before we left, a quick fashion shoot was arranged with the team dressing and accessorising both of us for the camera!